Texas Forest Service & U.S. Army Corps of Engineers - FTS Inc.
Evapo-transpiration study across the state of Texas conducted by the U.S. Army Corps in conjunction with the Texas Forest Service. 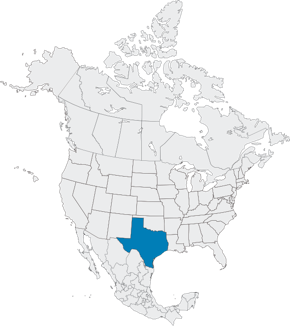 Texas is the second largest state with a total area of 696,200 km2. The terrain ranges from swamps and piney woods, to rolling plains and rugged hills, to deserts and mountains in the far western portion of the province. The majority of forest cover is comprised of coniferous trees. 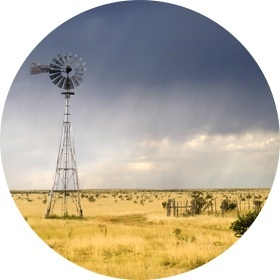 Texas has ten different climatic regions which result in highly variable weather. Hot summers and cool winters are not uncommon, with high humidity in coastal areas. The region also experiences frequent thunderstorms and tornadoes, and since it borders the Gulf of Mexico to the south, hurricanes and tropical storms often make landfall along the coast. The Texas Forest Service has been an FTS customer since 1990, and the joint effort with the U.S. Army Corps of Engineers commenced in 2011. The U.S. Army Corps tapped into 40 existing Texas Forest Service fire RAWS stations, and added 20 more with additional sensors for the evapo-transpiration project. This joint effort is a consolidated network of RAWS monitoring the aquifer in the Texas region.